Software implementing open standards like SIP evolves over time, and often during the first years of deployment, products are either immature or do not implement the whole standard but rather only a subset. As a result, messages compliant to the standard are sometimes wrongly rejected and communication fails. 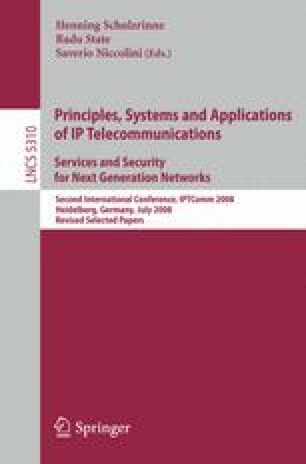 In this paper we describe a novel approach called Babel-SIP for increasing the rate of acceptance for SIP messages. Babel-SIP is a filter that is put in front of a SIP parser and analyzes incoming SIP messages. It gradually learns which messages are likely to be accepted by the parser, and which are not. Those classified as probably rejected are then adapted such that the probability for acceptance is increased. In a number of experiments we demonstrate that our filter is able to drastically increase the acceptance rate of problematic SIP REGISTER and INVITE messages. Additionally we show that our approach can be used to analyze the faulty behavior of a SIP parser by using the generated decision trees.